Post a Warning Label any place there is a potentially hazardous situation. Warning Labels are available in a variety of sizes from large to small. Labels come in a wide variety of stock wording or order Custom Warning Labels to warn of your specific hazard or danger. 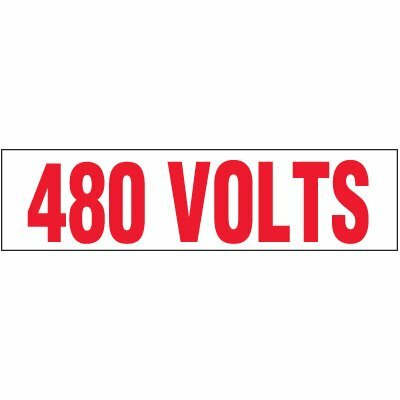 Danger 2300 Volts vinyl electrical labels warn employees of high voltage that could cause serious injury or death.